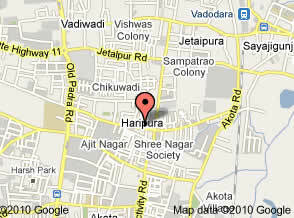 About Us | Authorised dealers of Johnson, Grohe, American Standards, Pitamberdas Chhaganlal, Vadodara, Gujarat, India. Estd in 1948 by a civil engineer late sunderlal Parikh in downtown area of Baroda & today group’s two showrooms enjoyed its finest position in his trade. 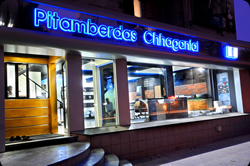 Over the years, Pitamberdas Chhaganlal has earned critical acclaim as well as a large & loyal clientele for Bathroom Tiles, Designer Floorings & all alied accessories in retails as well as corporate. Both the showrooms enable us to offer style guidelines and stimuli for purchase decision. To meet the needs of homeowners as well as corporate, products from all lifestyles are presented with a pronounced emotional appeal in realistic display setting. The group enjoying associations with world Class Company – national as well as international, in bathroom products. What we do is not just a job but a real passion, a determination to always work in the best possible way. The challenge we set ourselves is to keep our quality high by a combination of creativity & invention in competitive sense. You will enjoy working in a professional environment. If you want to make your mark and take on responsibility, we look forward to receiving your applications.